There is a lot of data which shows that plants do well with worm compost and worm tea. 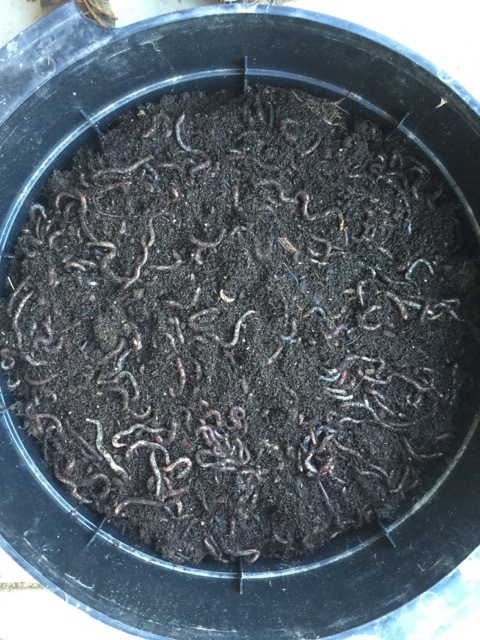 I decided to start a small vermicomposting system. It’s a Can-O-Worms system. I started with 2 pounds of European Nightcrawlers (Eisenia Hortensis). I chose them because they are not just good composters but also make a good fishing worm. They are a little bigger than the red worms. If everything goes well, I’ll build some large vermicompost systems. 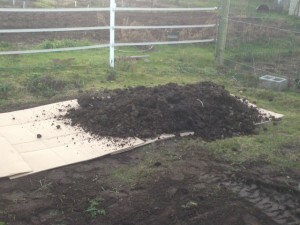 The horse manure compost is a great food source for the worms. A Friend took a drone video of the garden. Sorry, there’s no audio. the garden is growing very well. The tomato experiments are a success so far. Looking forward to a good summer garden season. I will post video updates on the garden to YouTube. go to the video and subscribe. You’ll get a notice of any future updates directly. The La Ratte fingerling potatoes are one of the tastiest fingerlings around. This is a first picking of the season. The largest in the photo is about 5 inches. They are going to be a nice accompaniment to the roast chicken tonight. You can’t get any fresher than that. The potatoes started from some small left over potatoes in the raised bed from last year and they grew up into very nice plants. Much earlier than I would have started them. I may have to use the same method next year. I love this time of year. The garden is producing very nicely. 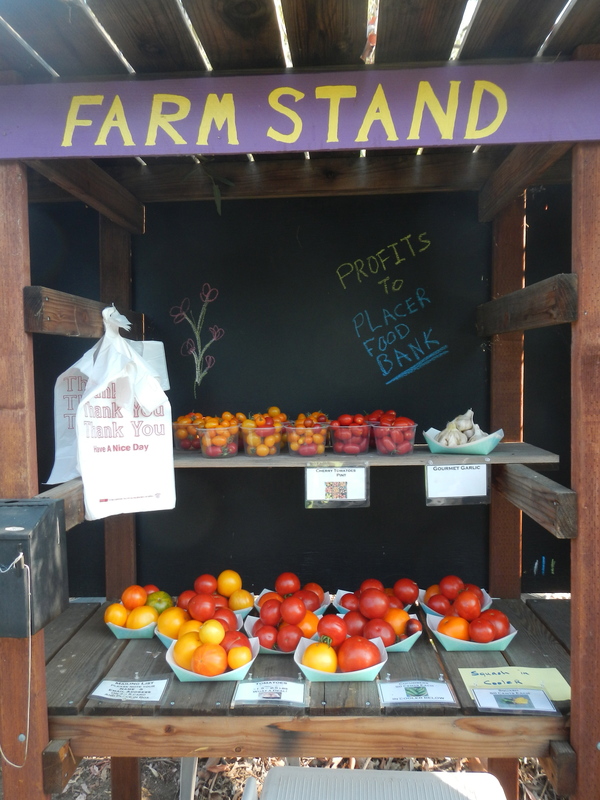 The Tomatoes especially are superb. I am growing 37 varieties. Many of which you can find at the stand. The garlic crop was also a good one. Now I just need to find the time to clean them up and bring more varieties out at the stand. So far, you can find “Susanville”. It is a softneck variety and has a long storage life. Very good flavor, not too hot. Click the link below for a garden video update. I haven’t posted in awhile. Most of the efforts this winter have been on some maintenance and cleaning out the dead summer veg. One major project I’ve started is to double the size of the garden by taking a section from one of the horse pastures. The new electric fencing is completed. Later this spring I’ll be putting up the deer fencing, to keep those big rodents out. The soil in this area is very compacted due to the horses. It is also full of weeds, mostly bermuda grass. This would normally make it a tough place to start planting vegetables. But there is a method which should be perfect to solve these problems. 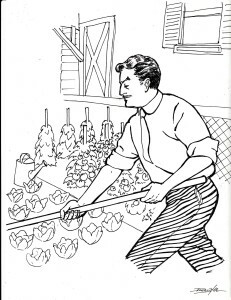 It is called no-till or “lasagna” gardening. 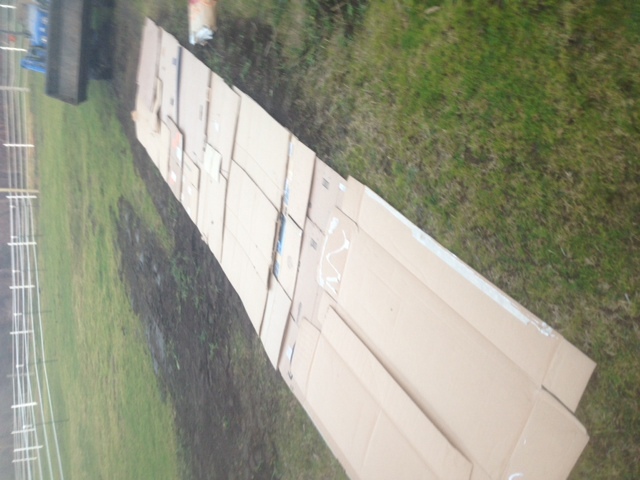 It starts with a thick layer of newspaper or cardboard which goes on directly over the existing soil. Then on top are layers of compost, mowed grass, leaves, spoiled hay, etc. The layers of organics will break down. 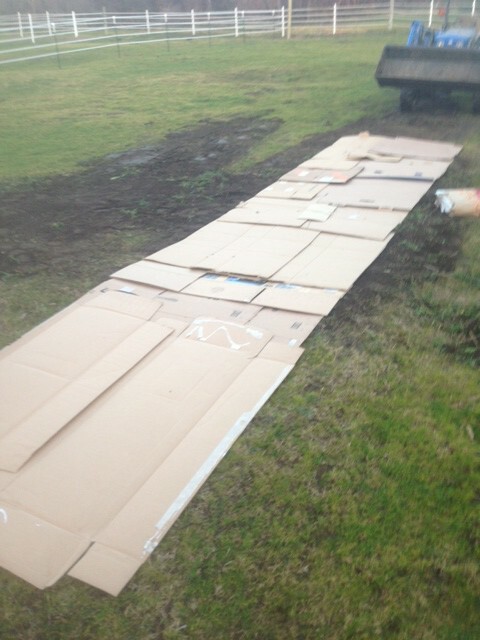 The cardboard smothers out the weeds. Plants can be planted directly on top the first year. The photos below are of the first layers of the bed, placing down the cardboard and a good layer of horse manure compost. 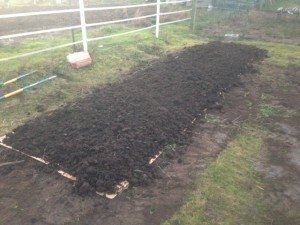 I’ll add some layers of other organic materials and more compost. I’ll post more updates through the year. Garlic is a mandatory result of the garden. Have you planted your garlic by now? My goal is to get them in by end of October. I was able to get them in this week before the rains started. This year I’ve planted 6 different varieties. Four varieties are softneck type that I’ve been growing for awhile. Namely Susanville, Early Italian, Silver White and my own variety I’m calling Vent White. I’m trying a couple of hardneck types this year, Music and purple Italian. Hardnecks don’t store as well as the softnecks but they have some other positive characteristics. They have large cloves which are easy to peel. The flavor tends to be more intense. In my earlier post I showed the new raised bed. This brings into production two beds. I decided to divide up my planting. I planted 1/2 of each type in each bed. It is to reduce my risk and assure supply of each type. I’ll monitor and photograph this experiment through the year. 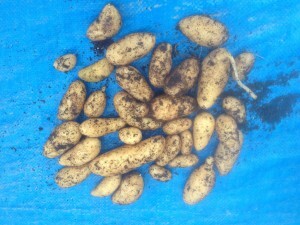 The harvest is expected about the middle of June.